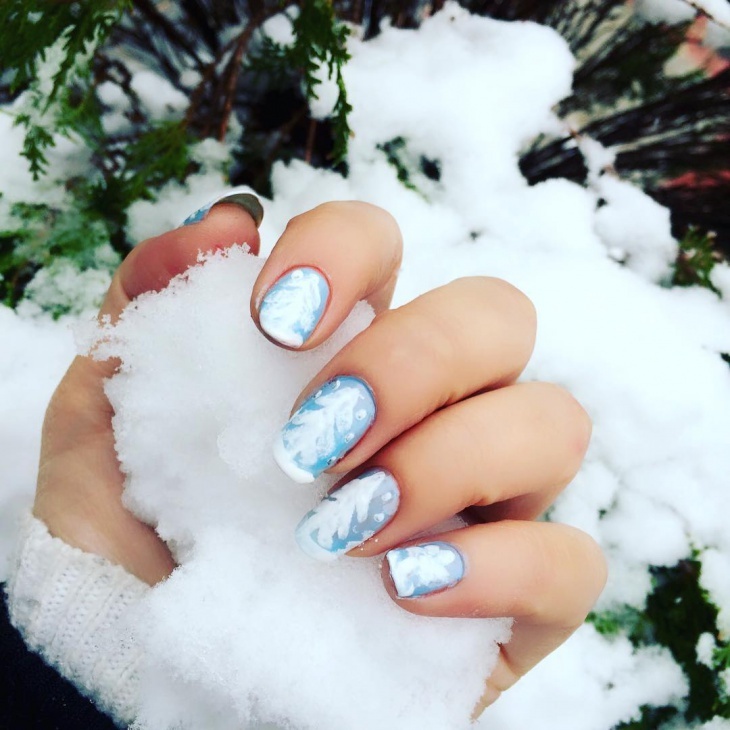 For these pretty nail art, we are ready to say in any season that Winter is coming! And while we are a fan of Jon Snow but we still want you to know everything about these superb designs which you must try in order to make others nostalgic of the beautiful weather. 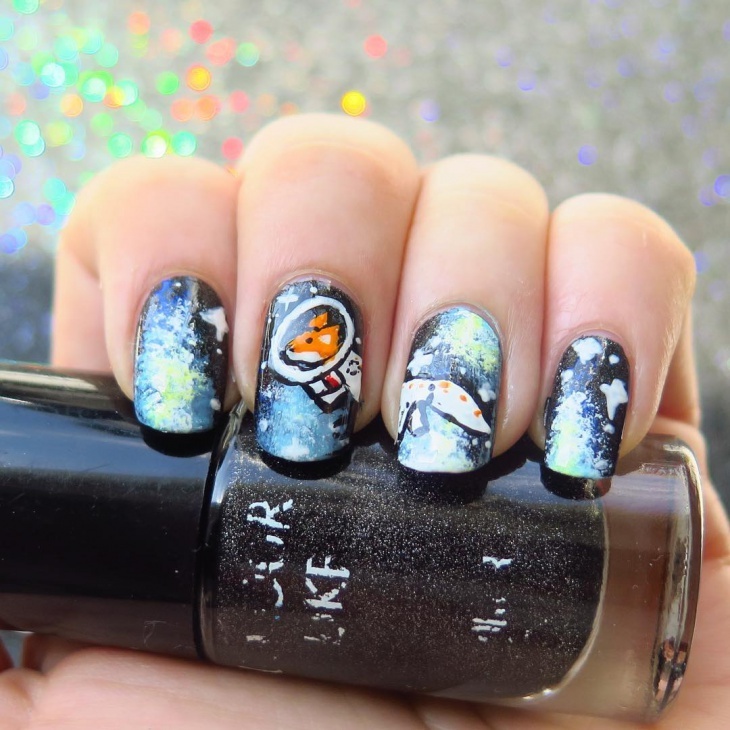 Three things contributed to making this nail art win over all the others we did not pick. 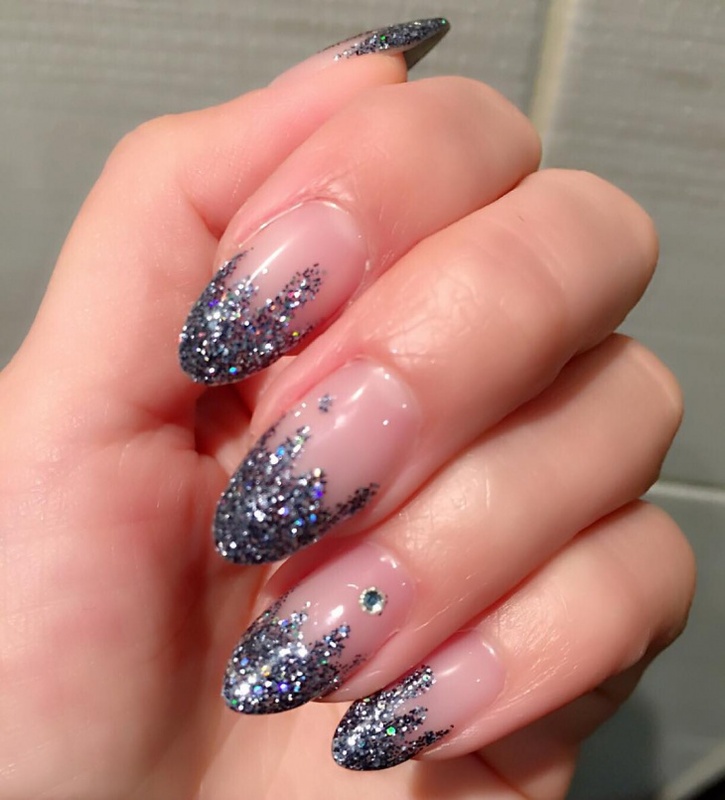 The super subtle pink base, a holographic glitter paint(it is available easily even in your drugstores now). 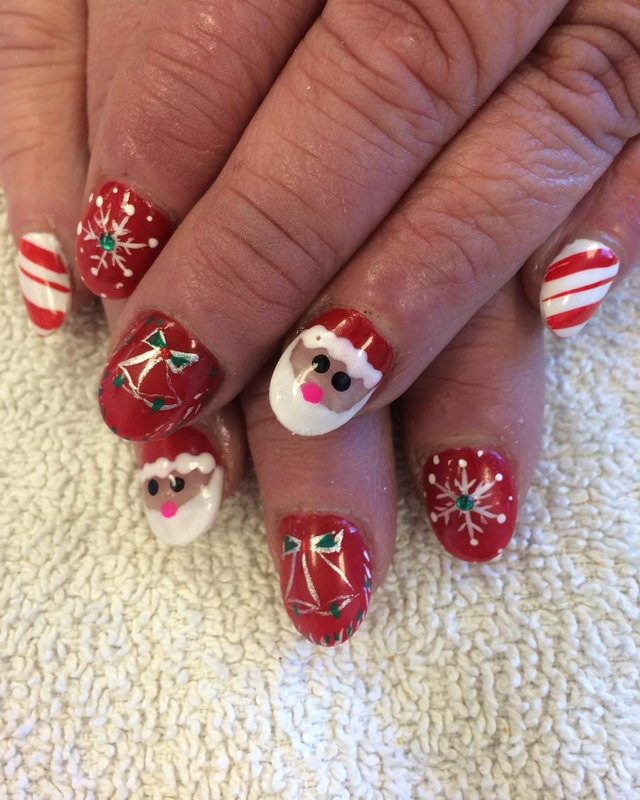 And the trick here is to make a transferable design on a plastic sheet or transfer sheet with nail art pen and shift it to your nail. 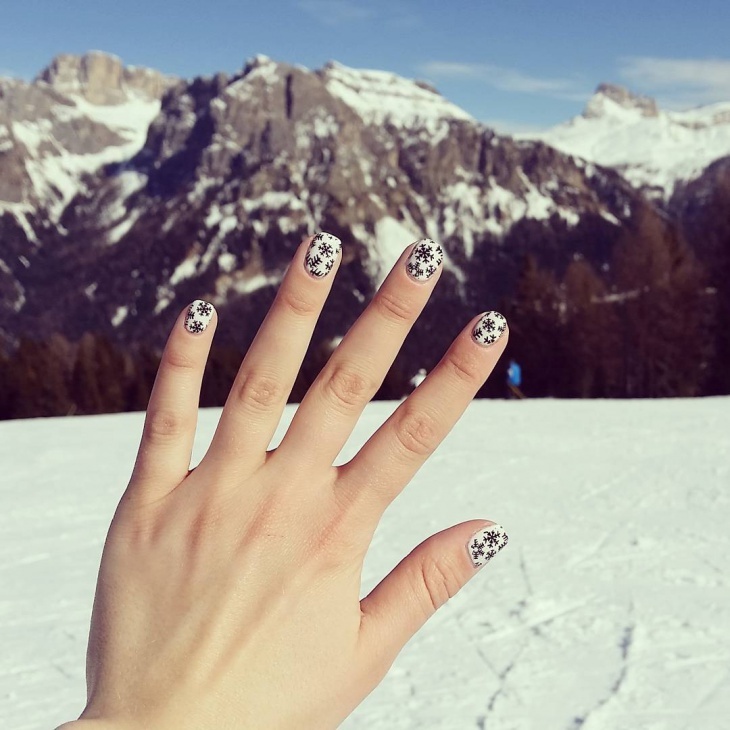 These Ballerina nails with untidy snow print are all you need if you are in a hurry. You can use neons instead of white too. 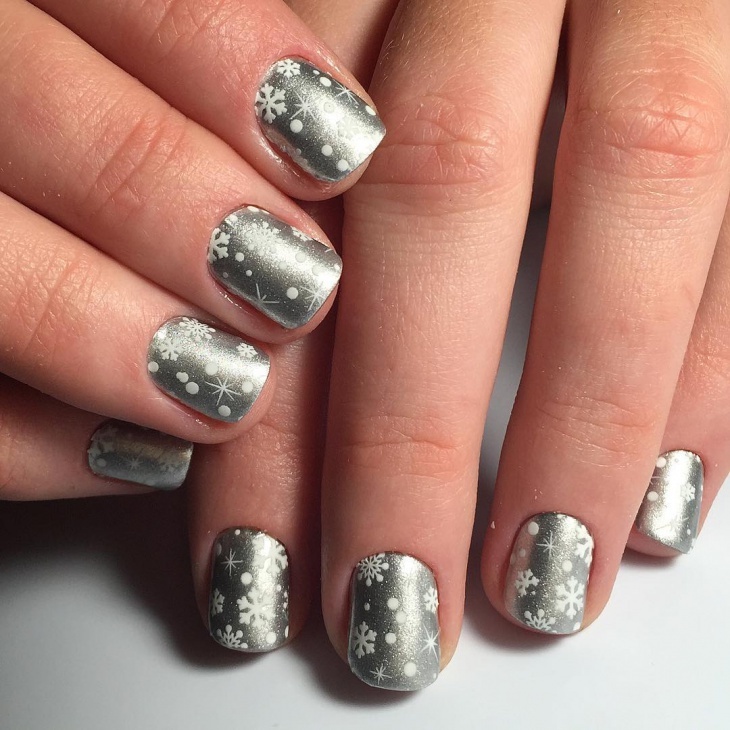 Make sure to have more density on the tips to give it an ombre sort of effect. The only condition for you to fall in love with this beautiful design is that you should be a girl, sexist? Okay, you should have eyes. 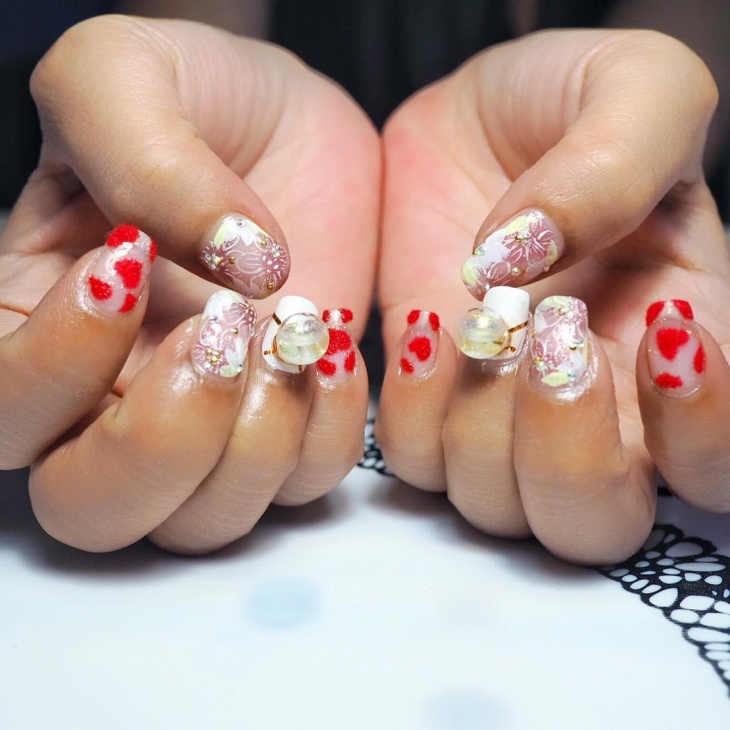 Those velvet hearts, that water globe and that intricate design with tiny pearls is like a manicure dream to have. It is a perfect way to use those three wishes you have been saving. 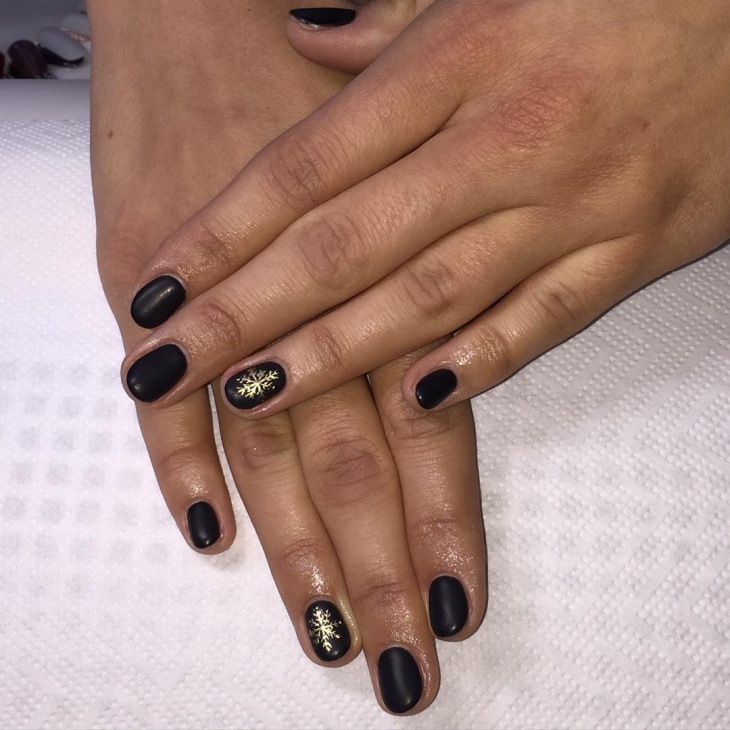 Who said Leopard nail art has to be in brown or black only? We did not. 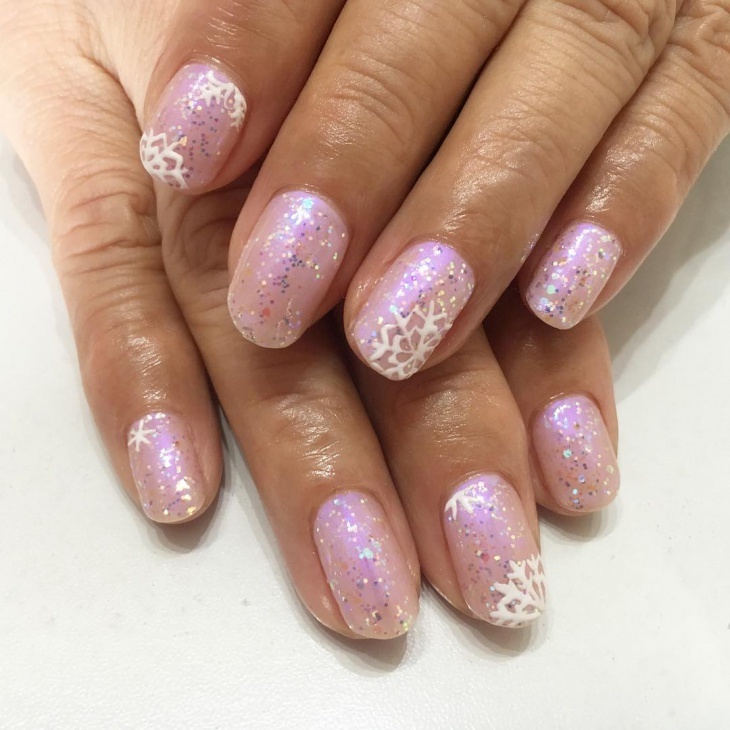 This beautiful baby pink Leopard nail is something you should bookmark and try for that next time you paint your nails. It is not only easy but also quick in terms of application. 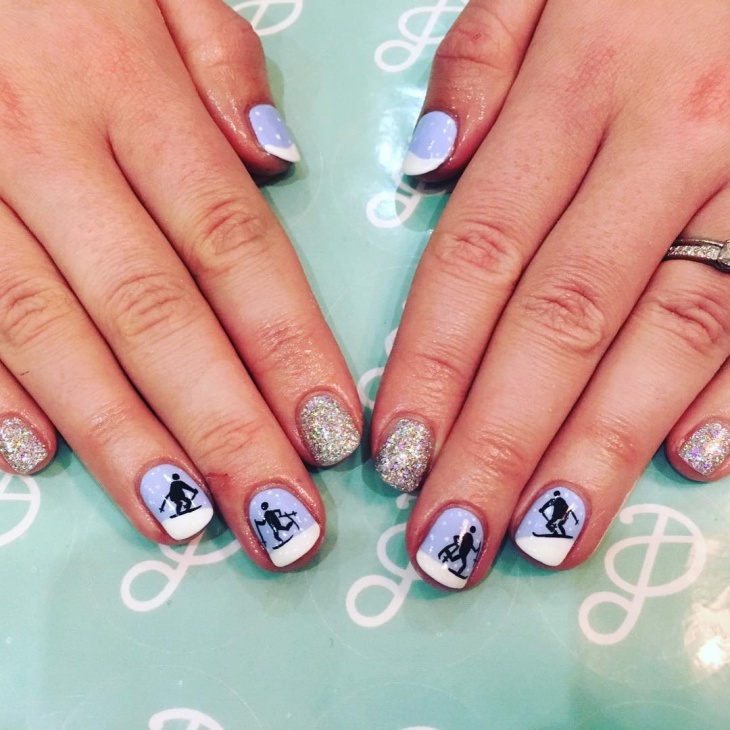 These tiny people on ski nails are all you needed to see today. 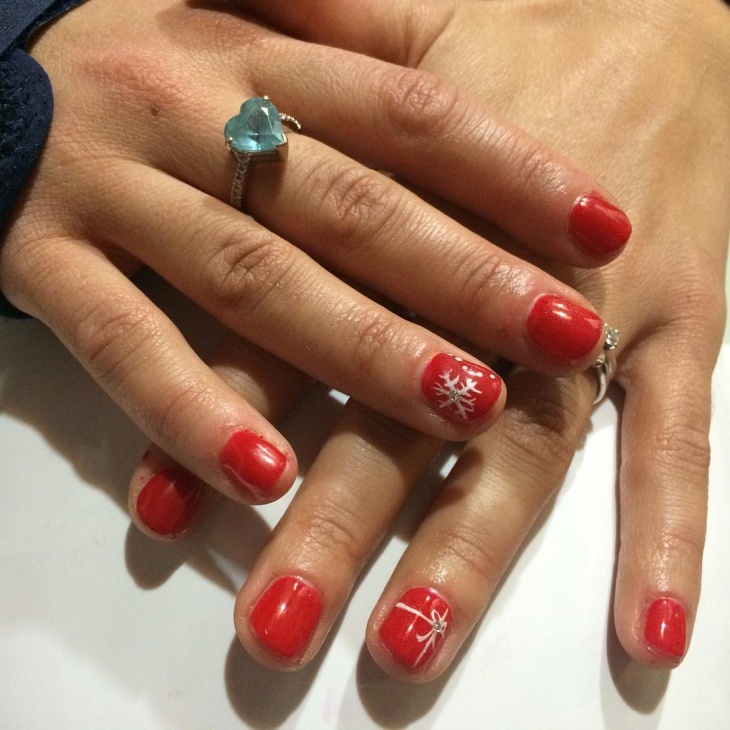 The best thing is that every nail has a different story to tell. Make your own version it might look more like a skeleton but who cares? 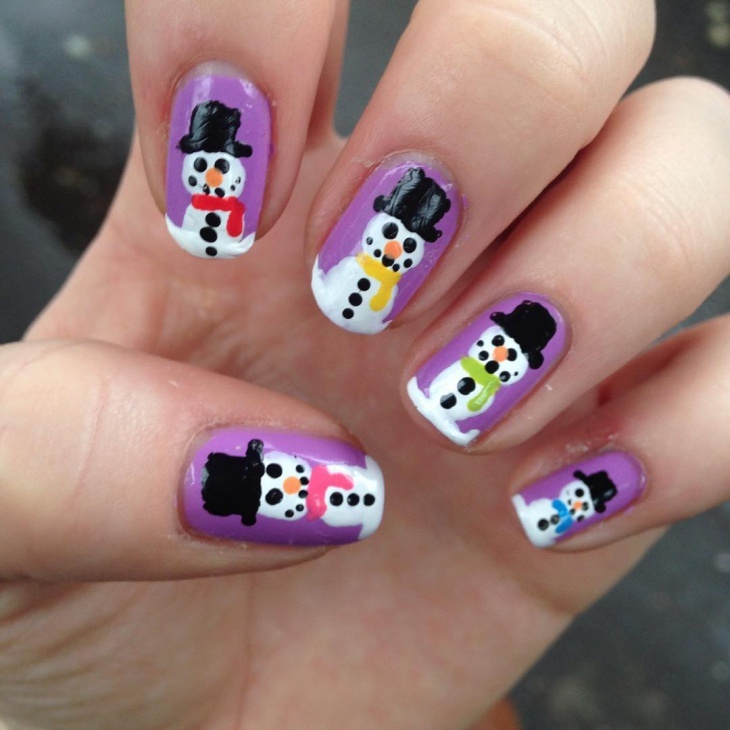 We are going to work every day till we get these nails. 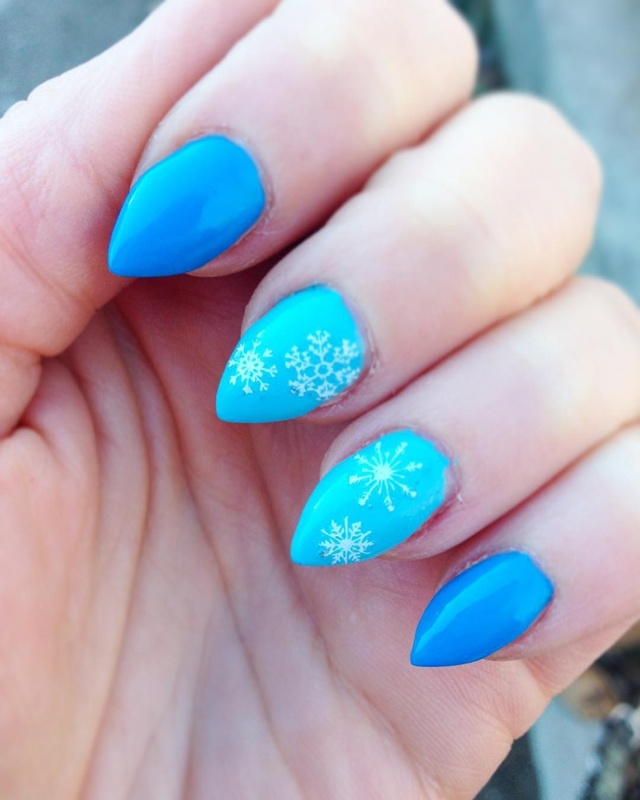 These nails can be paired with your Frozen costume this Halloween. 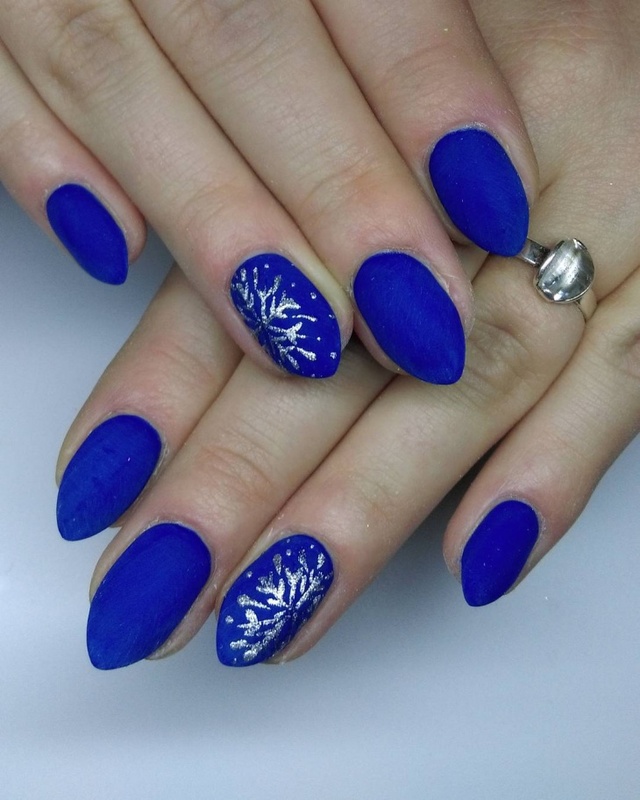 The design with blue background has free hand flake drawing on them with white snow using a sponge. 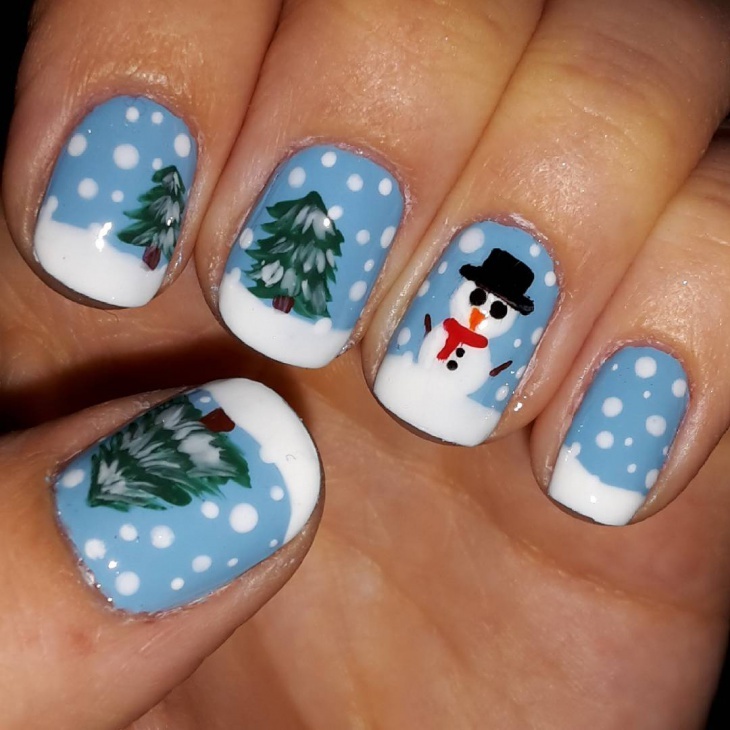 The nails with the white background were created using stickers for the flake part and the rest was covered with white polish using a sponge. 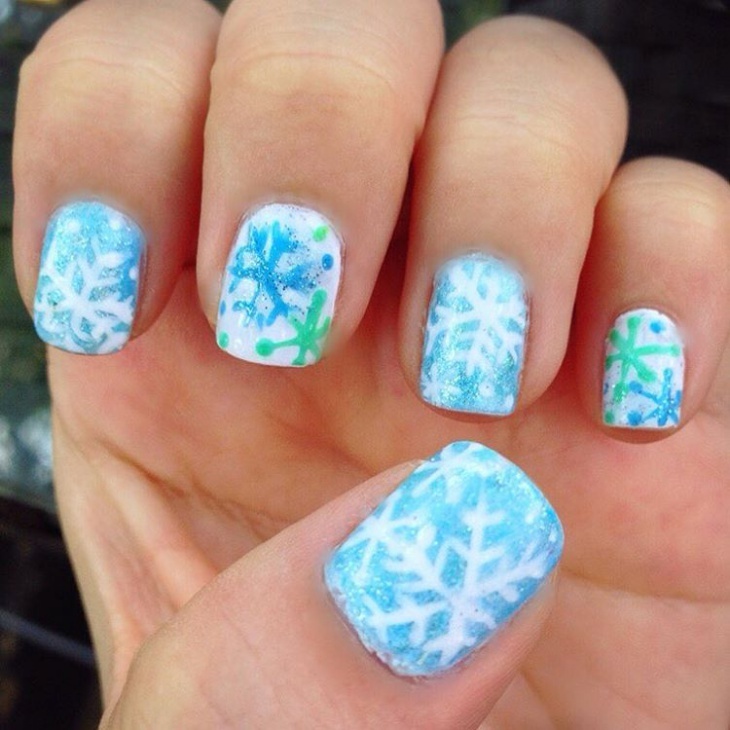 And you thought that we can only create gradient nails using a sponge? Dreamcatcher used to be our favorite wall hanging, not anymore. 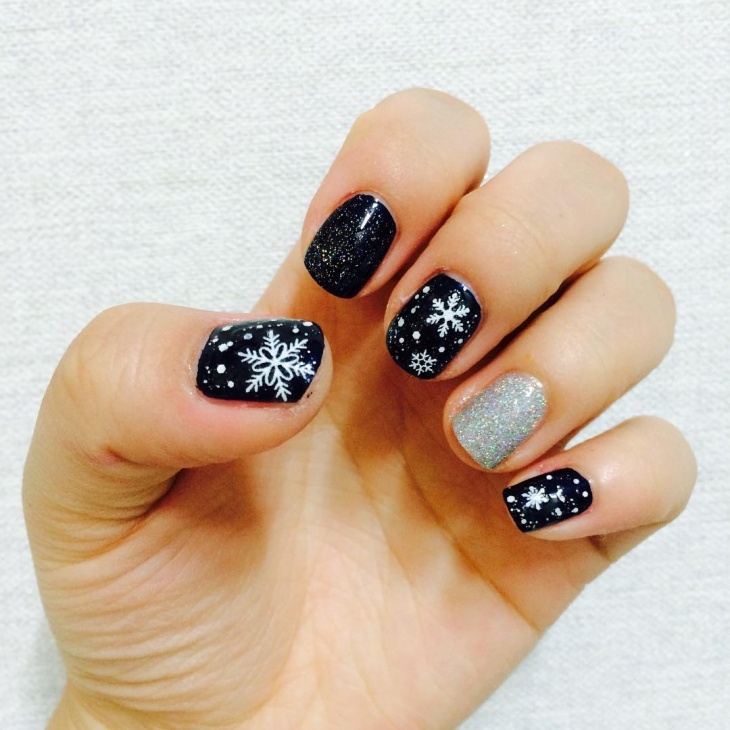 Now, it is our favorite nail art design. Those dreamcatchers with diamond embellishment will definitely keep you positive all day. And those beautiful pastel colors has to go in your shopping bag the next time. 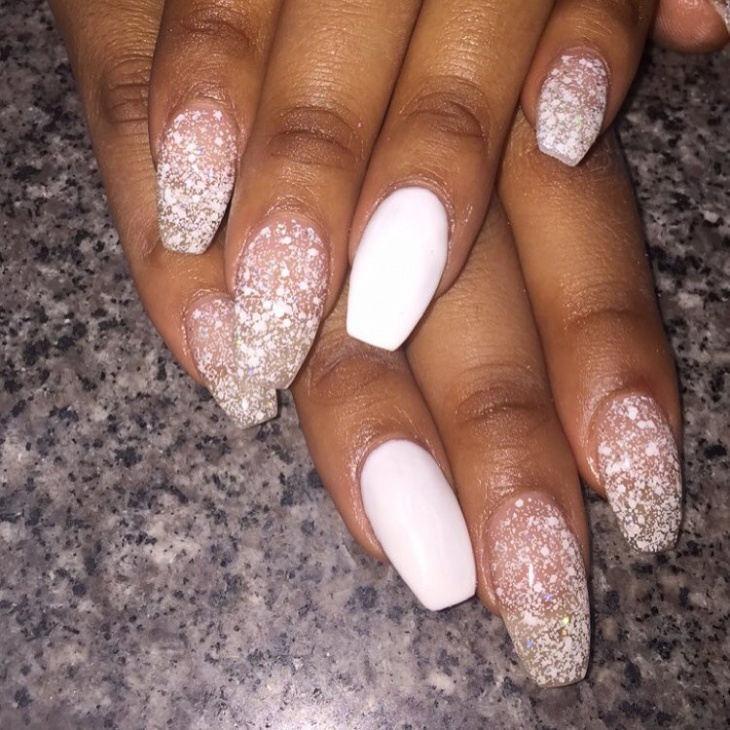 Get these nails now and please don’t conceal, do let them know, feel a thousand things and definitely flaunt your hard work.